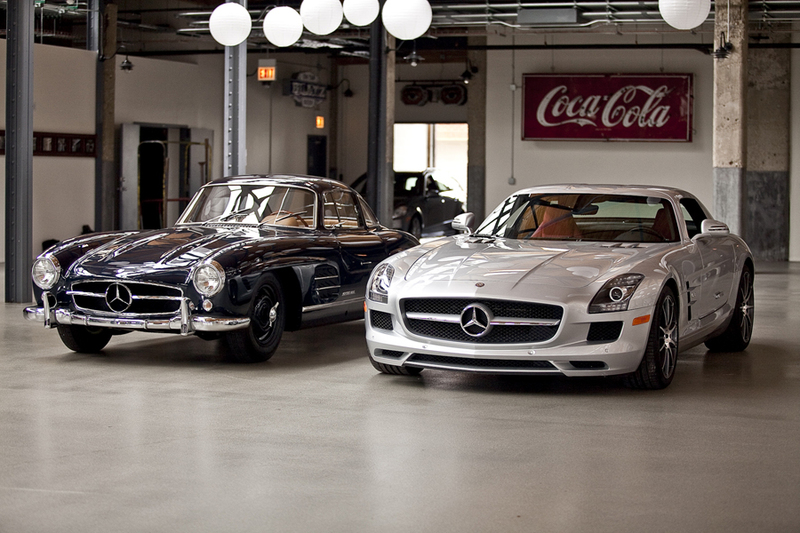 On the left, the 1955 Mercedes-Benz 300SL, powered by a 215 Hp six cylinder engine. 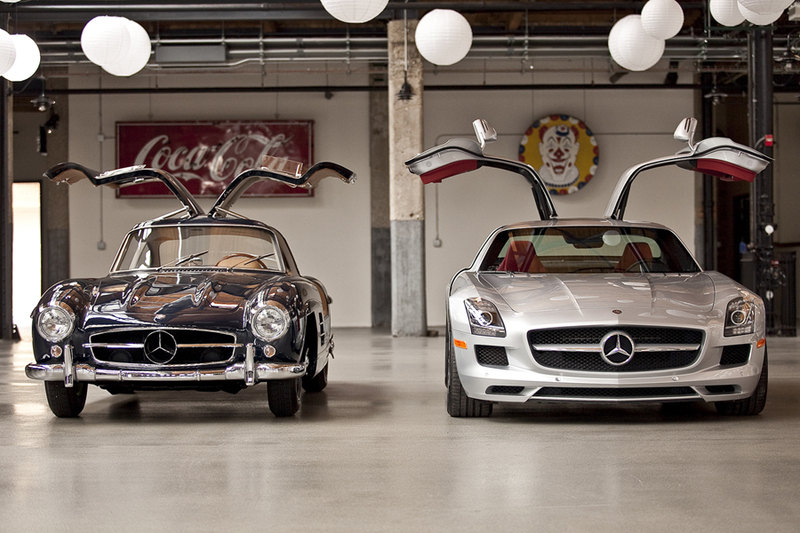 On the right, the SLS AMG powered by a 6.2L V8 developping 571 Hp and good for at least 300 Km/h. When you look at a picture like this one, there's an eternal question that comes to mind: which one would you choose? 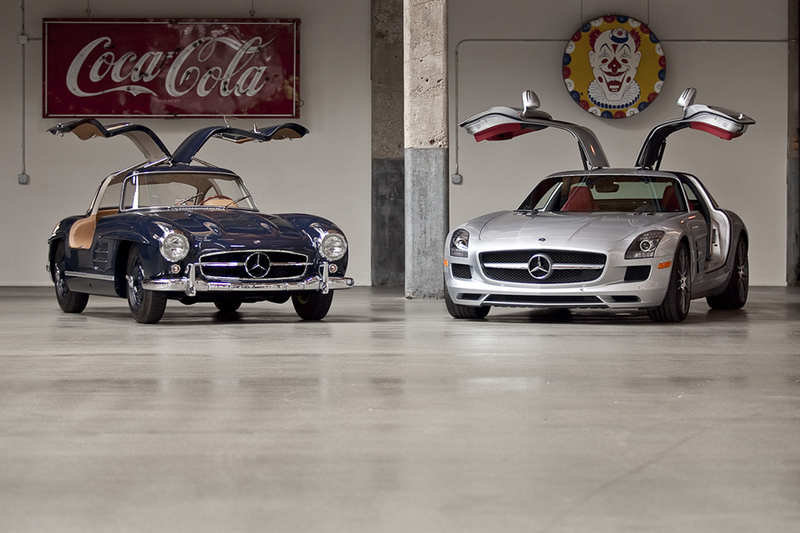 I love the styling of the 300SL and i have an admiration for the performance of the SLS AMG. 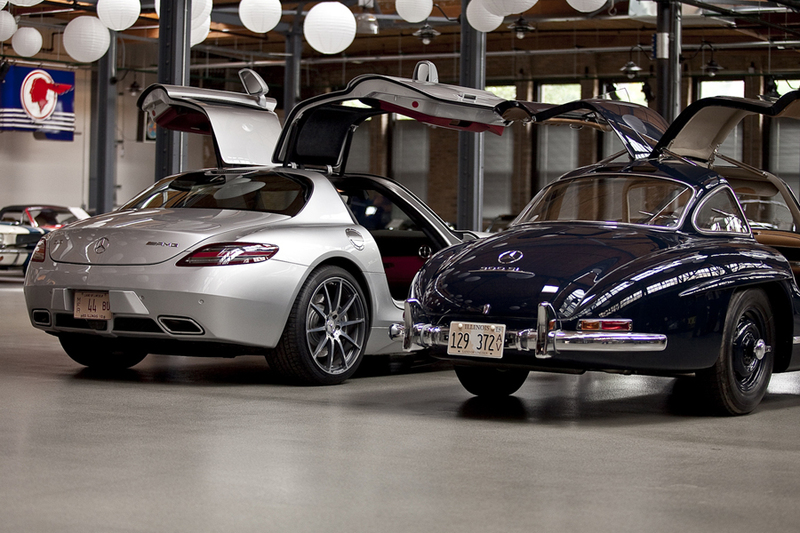 In a perfect world, i would keep both.